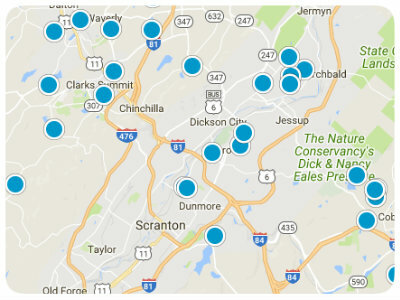 Selling your Lackawanna County area home? At The Agency Real Estate Group, our listed homes are our most valuable and cherished assets. That’s why it’s important to partner with a trusted advisor who has a deep understanding of the Real Estate market and who can expertly price a property to help the seller find the highest possible offer in a timely manner. The best agents put their sellers interests first. They inform the seller of marketplace realities and can help market a home so that it attracts the greatest number of qualified buyers, in the least amount of time. A savvy agent maintains excellent relationships within the brokerage community and works well with all the members of the seller’s advisory team, including attorney, title agents, and cooperating Brokers. They also know how to identify qualified buyers, streamlining the entire selling process from start to finish. Our agents provide every seller with a program tailored specifically to their needs. This is only one of the advantages we offer as an independent, privately owned Real Estate Broker. With an unequaled level of discretion and personalized attention, our clients enjoy the best of both worlds: a company that is small and nimble enough to meet a seller’s needs, with the essential infrastructure and resources of a larger, nationally Franchised Broker. Our well-trained listing agents can position a home to move quickly and at the highest possible price. We are skillful negotiators who know how to interpret complicated financial statements, assess buyer qualifications, and weigh or anticipate other factors that can make or break a deal. Our discerning professionals excel at recommending the appropriate staging of a home to ensure that it “shows” at its absolute best. Sellers’ homes are also reflected beautifully in our marketing materials, with exquisite photography that puts every listing of The Agency’s in a class of its own. When you are ready to sell, we encourage you to take a look at how other firms market their properties. We are confident that The Agency Real Estate Group stands apart from the competition.